Rediscover the story of the Trojan Horse in this beautifully illustrated Level 2 Ready-to-Read retelling of the myth, from Goddess Girls author Joan Holub! During the Trojan War, the Trojans receive the gift of a huge wooden horse from the Greeks. Thinking the gift means that they have won the war, the Trojans celebrate. But what they don’t realize is that Greek soldiers are hidden inside the huge horse…waiting to attack! 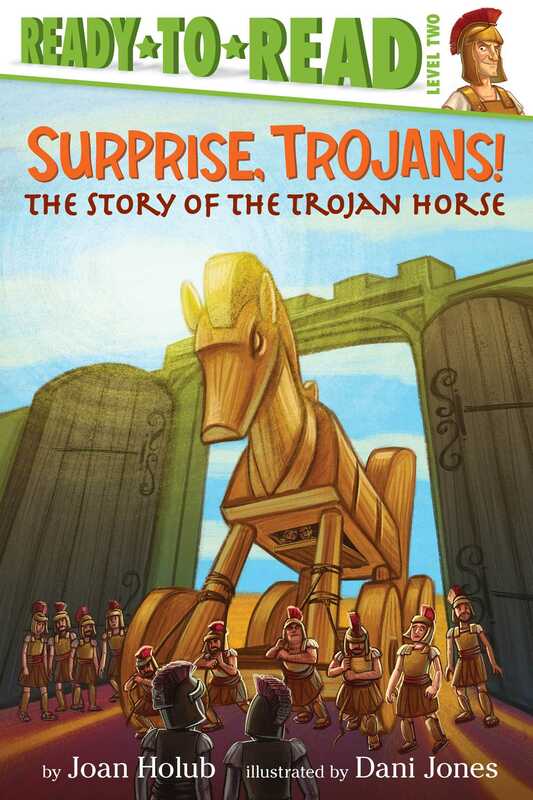 This Ready-to-Read retelling of the myth of the Trojan Horse is a perfect introduction to mythology for beginning readers. Book Cover Image (jpg): Surprise, Trojans!